Irish Banks continue to enjoy/suffer a roller coaster ride and the news hitting the tape this morning is hardly the Alka Seltzer the market was looking for. 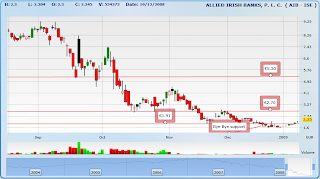 Back in early December 2008 I had suggested a potential opportunity for Allied Irish Banks (AIB) at support; although Anglo Irish had already nixed its own attempt to hold similar support in November. 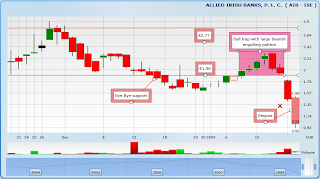 In the end, negative sentiment won out and the AIB opportunity turned into a bust by December 18th when it breached €1.91 support. The Irish banking sector faces new challenges with collapse of Anglo Irish Banks, combined with the troubles in Barclays, Bank of America and Citigroup, have all helped push the banking sector to new lows. The latest UK bank bailout plan has seen a mixed response from traders. It looks like traders are pricing a new name to AIB, that of Anglo Irish Banks. 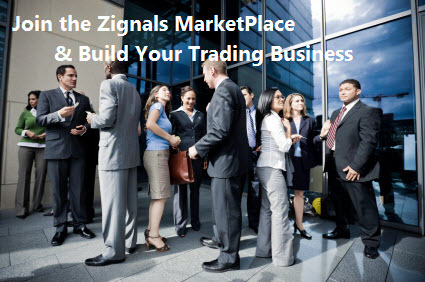 If you like horror shows and want a copy of the latter stock chart with free real-time prices please email me (declan-at-zignals.com).